“With this settlement, we are sending a clear message that anyone profiting off of deception and impersonation is breaking the law and will be held accountable,” AG James said. 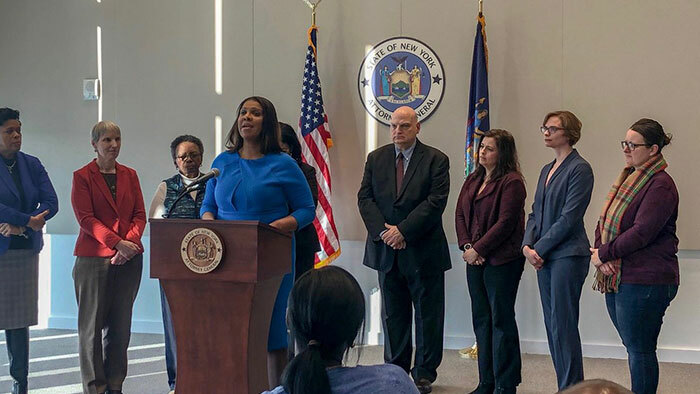 State Attorney General Tish James recently announced what she characterized as a “precedent-setting” settlement over the sale of fake followers, “likes,” and views on social media platforms, including Twitter and YouTube, using fake activity from false accounts. According to James, Devumi LLC and related companies owned by German Calas, Jr. – including DisruptX Inc.; Social Bull Inc.; and Bytion Inc. (collectively, “Devumi”) – sold fake followers, “likes,” views and other forms of online endorsement and activity to users of social media platforms including Twitter, YouTube, LinkedIn, SoundCloud, and Pinterest. Devumi supplied the fraudulent activity using computer-operated accounts (“bot accounts”) and by one person pretending to be many other people (“sock-puppet accounts”). These accounts falsely pretended to express the genuine positive opinions of real people. In some instances, Devumi supplied fake accounts that copied real people’s social media profiles without consent, including their name and picture, James noted. Additionally, Devumi sold endorsements from social media influencers without disclosing that the influencers had been paid for their recommendations. James said this is especially troubling when considering that the opinions of influencers can have particularly strong influence over the reputation and sales for any product, company, service or person they endorse. James also pointed out that these business practices deceived and attempted to affect the decision-making of social media audiences, including: other platform users’ decisions about what content merits their own attention; consumers’ decisions about what to buy; advertisers’ decisions about whom to sponsor; and the decisions by policymakers, voters, and journalists about which people and policies have public support. The NY AG said that Devumi’s practices deceived some of the company’s own customers who mistakenly believed they were paying for authentic endorsements, while many other Devumi customers knew they were buying fake activity and endorsements. Devumi also deceived the social media platforms, which have policies prohibiting fake activity. The settlement prohibits Devumi LLC and related companies (“Devumi”) from engaging in any of the same misconduct going forward. This settlement marks the first finding by a law enforcement agency that selling fake social media engagement and using stolen identities to engage in online activity is illegal, James noted.